"Industry sources" have provided further confirmation that Apple's next flagship will allow for wireless charging, though it remains to be seen how the company will implement the feature. Rumors of the upcoming iPhone 8’s wireless charging feature have propagated wildly for some time now, but this most recent report from Chinese-language Commercial Times provides the strongest evidence for it to date. According to DigiTimes, Taiwanese company Lite-On Semiconductor is providing half of the “GPP bridge rectifiers for the support of fast wireless charging.” It was not specified whether the device would support Powermat or Qi charging. The manufacturer of the other GPP bridge rectifiers was also not disclosed. If proven accurate, this means the iPhone 8 will be Apple’s first phone to feature wireless charging. The speculation around wireless charging in the iPhone 8 has also been backed up by reports saying the handset will have a glass rear panel. 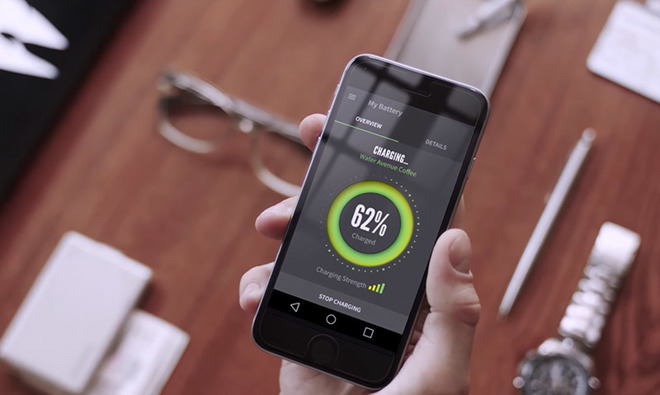 Apple is also rumored to have ties to wireless charging firm Energous, which specializes in long-distance wireless charging technology. A few manufacturers have already produced phones with built-in Qi wireless charging such as Samsung, Microsoft, Google and Blackberry. Most wireless charging devices do not charge as fast as their wired counterparts, though Samsung has made some headway into “fast” wireless charging. Their charging pad charges at around 2A instead of the 1A of most chargers, increasing charging speed by about 40 percent with supported phones.